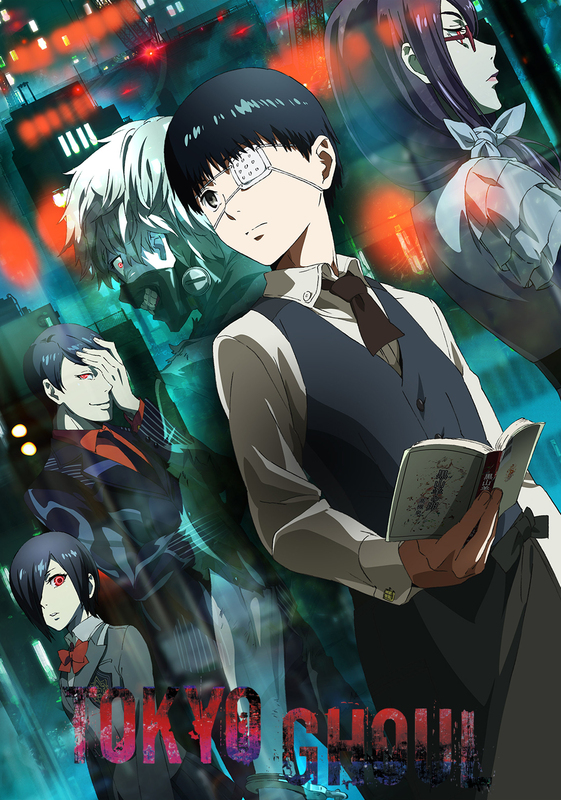 Tokyo Ghoul’s first season kicked off in mid-2014 and quickly became one of the most popular anime in recent years. The story focuses around Ken Kaneki, a timid college student who’s life gets turned upside down after a date with a woman called Rize. Rize reveals herself to be a ghoul and attempts to eat Ken, to his good fortune an accident causes the two to be rushed to a hospital. After undergoing surgery to save his life Ken discovers that he has had some of Rize’s organs transplanted into his body. To his dismay, Ken now finds himself to be a ghoul and must now learn to adapt to living in his new world, including, needing to eat human flesh to survive. Ken is soon taken in by the ghouls who own the local Coffee shop “Anteiku”. They teach him the ways of the ghoul and try to help him understand his new half-ghoul body. My Review: Tokyo Ghoul has been one of the most hyped animes to grace our screens in recent years. In terms of style, Tokyo Ghoul has bucket loads of it, the vivid red and black mixed with strong purples and blues. In terms of characters we have the whole bag, Crazy people are a dime a dozen, wise old men, tsundere and a wimpy main character (even if that isn’t the case in later seasons). The plot is interesting with some very touching and/or disturbing moments. The ending is a real cliffhanger and a strong lead-in to the second season making it very hard to talk about one without the other, so if you’re planning to pick this one up then I strongly recommend watching it as a whole.